Our favorite character, Om Nom, will make us happy once again in the sequel of a successful brain teaser named Cut the Rope: Experiments! This time, our pet finds himself in the lab. He is observed by a cheery scientist. The task remains the same: Om Nom is famished, so, you must feed him. We all know that he is fond of candies. 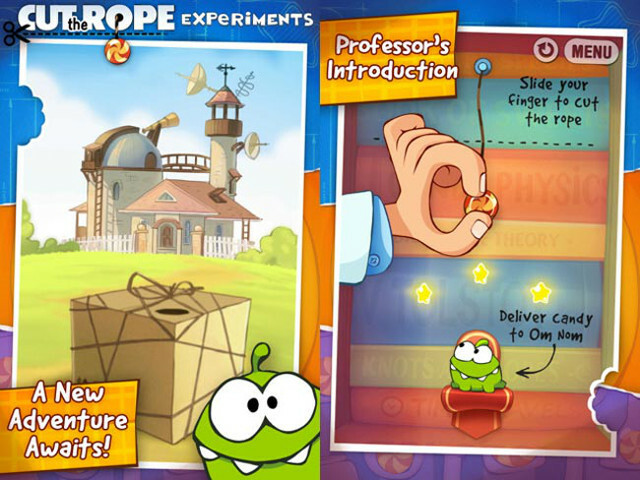 Various lab devices provide a good assistance in delivering the sweets into Om Nom's mouth. 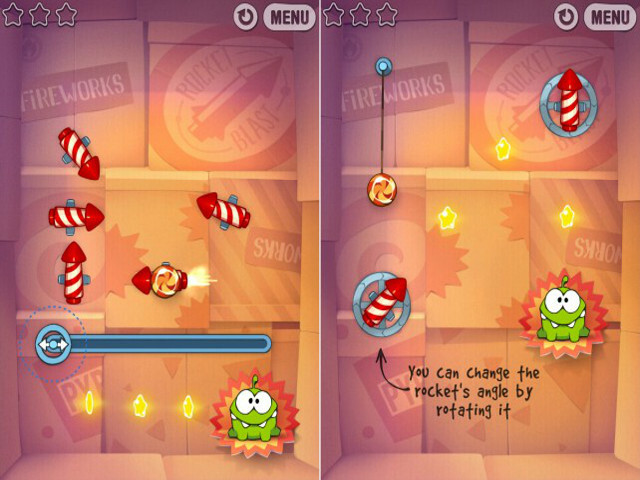 Figure out the easiest way to fill Om Nom's belly and get all the stars! Cut the rope and have fun!